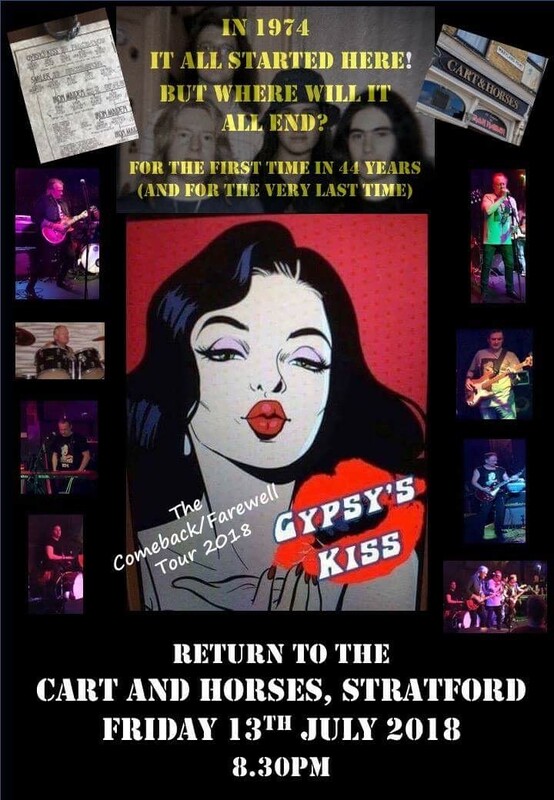 GYPSY'S KISS will return for their last show at Cart & Horses. It has been 44 years since they last played together on our stage. Steve Harris was part of this band, who then later formed the legendary Iron Maiden.